orange. In terms of fragrance classification, Ninfeo Mio falls into a green/woody class. Ninfeo Mio has many of the notes that I particularly love in a fragrance. 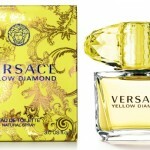 It opens on a citrus note–Italian lemon and citron and essence of bitter orange. 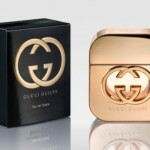 The mid-notes unfold to reveal a more grassy side of the fragrance, notes that you'd encounter walking through the garden, including lavendar and especially, fig. Finally, the base notes evoke the woods of the garden. 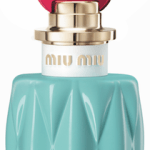 Ninfeo Mio is a unique and beautiful fragrance as it develops. I can't say I have anything in my fragrance wardrobe that is close to this. The bottle is a gorgeous frosted blue-green color with a touch of gray. The colors are reminiscent of the leaves in the garden of Ninfa reflected in the Ninfeo River. If you like a more substantial fragrance, Ninfeo Mio is one that you should seek out. 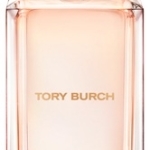 It's a fragrance that could definitely be considered unisex and very unique. 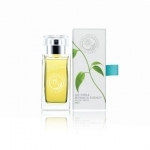 Annick Goutal Ninfeo Mio comes in two sizes, 50 ml (ribbed bottle) and 100ml (square bottle). 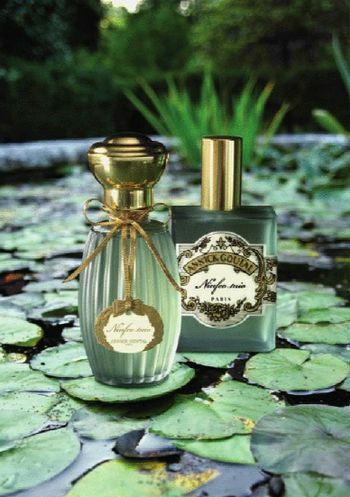 Annick Goutal fragrances are available at Saks Fifth Avenue, Neiman Marcus, Space NK and Bergdorf Goodman.